The D&D Adventurer’s League is in the midst of some important changes. 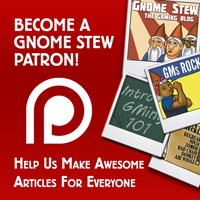 While I have no inside information about what drove those changes, why they happened, or what changes might yet happen, I have some thoughts about what might have precipitated them, and why they’re REALLY important for the larger table top RPG community. Here’s what I think. Read it and let me know why you agree, where you think I’m seeing it wrong, and how you think things will play out. What is the D&D Adventurer’s League? It’s an organized play system. Everyone builds characters according to common sense rules, and then plays specific adventures. People track experience, gold, and loot. A lot of conventions run organized play games, but you can run them at game stores, and at home too. Most game play sessions are 2-4 hour serialized one-shots that fall into a larger narrative. (Like TV shows in a season.) You don’t have to sign up or register or anything. Just get the build guidelines (for free HERE), read those rules, and start playing. You can find more information HERE and HERE. I like organized play (or “OP”). It’s like “speed dating” for gamers. You can play with a bunch of different people and you will most likely make some new friends and find new people you like. Some people don’t like it. That’s cool. It’s not for everyone. For me, it doesn’t replace a great home game, but it’s a nice addition to some good home games. Some sort of organized play system has been a part of D&D since 2nd edition. Sometimes the company that makes D&D (currently Wizards of the Coast, or “WotC”) is extremely unconcerned with the OP system, other times they’re extremely hands on. OP has adapted and survived through the ages. Currently, it seems (and I’m operating with no special information here) that WotC is extremely interested in active oversight of the D&D Adventurer’s League (or AL). It’s a great way to evangelize the game, find more players, get game stores and conventions involved, and allow new people to get involved. Given all that history, imagine a spectrum of game styles. On one hand you have very tactical game play. Miniatures are on a gridded map. Combat is the most important way to solve challenges. Combat utility is the most important part of your character. Role Play (RP) can be limited or absent. On the other hand, you have very narrative game play. Theater of the mind (mapless) combat is preferred. Most challenges are solved with RP, exploration, trickery, or stealth. Backstory, personality, and skills are the most important part of your character. Combat can be limited or absent. Only a very few people play purely tactical or purely narrative games. 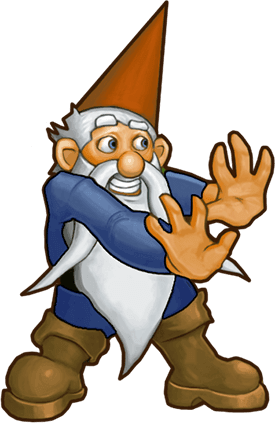 In reality – BOTH playstyles are valid and normal ways to enjoy D&D. 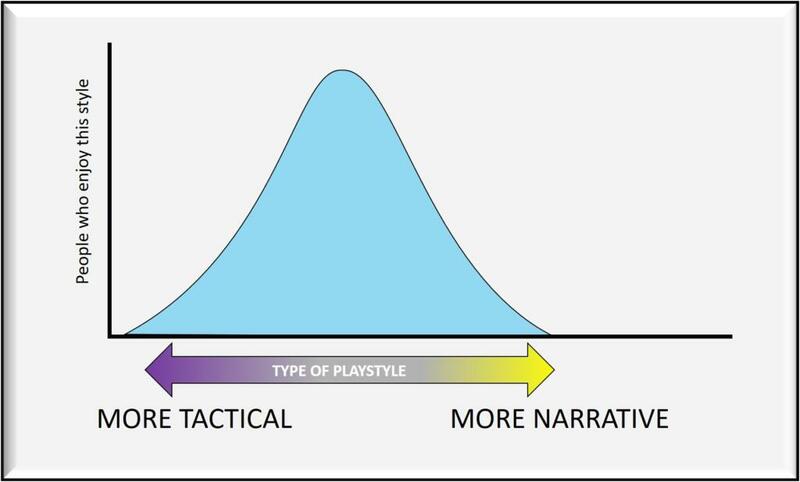 Most people enjoy a mix of both tactical AND narrative game play. 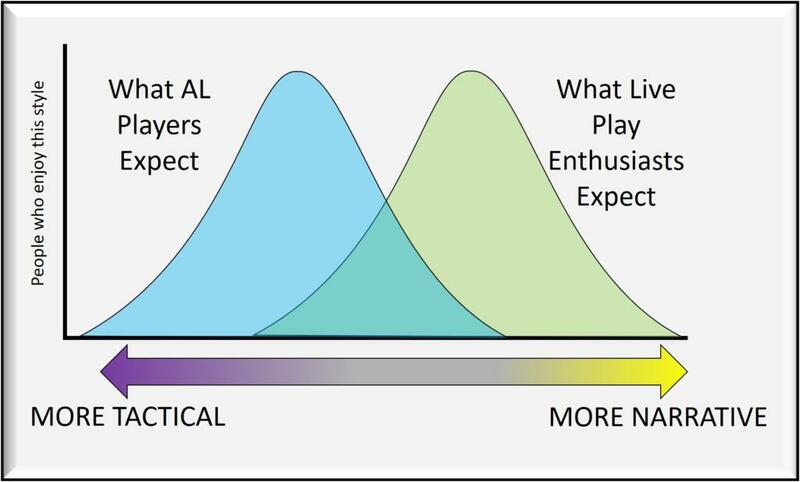 If we were to graph this out with the types of play on the bottom (horizontal) axis, and the number of people who enjoy that type of play on the left (vertical) axis, we’d get a bell curve that looks like this. The old guard of D&D and the organized play community enjoys a mix of narrative and tactical play. There are a few more-tactical “power gamers” on the left. There are a few more narrative “story tellers” on the right. The majority of the community is somewhere in the middle and likes both types of play depending on the group, day, game, or encounter. In organized play systems from 2nd edition to the present, the majority of the players learned to play D&D through friends or family. Many of them learned how to play from previous editions, and were familiar with moving miniatures on a grid. In 3rd edition and 4th edition, tactical play was EXTREMELY important, and this whole bell curve shifted to the left somewhat. When 5th edition came around, many of these folks treated this edition similarly to 3rd and 4th. Even though 5th edition has been vastly simplified compared to 3rd and 4th editions, it’s a fine game for very crunchy, simulationist, tactical play. Organized play worked well for it. Because organized play adventures are often played at stores and conventions, and because of the nature of organized play, the games had some important basic characteristics that strongly shaped how they were played. They were not custom built for your character. The NPC who gave you the quest wasn’t your mentor, the opponent hadn’t killed your grandparent, and the commoners don’t know your character personally. You could do that in a home game, but that wouldn’t work in OP where a bunch of different tables had to play the same adventure. Quite often, these adventures had time limits. They were mostly designed for 2, 4, or 8 hours of play so that you would sit down with a group of people and play them in one sitting. Then next time you would sit down with a different group of people and play a different adventure in one sitting. Different tables of an adventure had largely similar outcomes. The characters saved the dragon, slew the princess, and saved the city. These games were focused on entertaining the group of players at the table. You had no responsibility or constituency outside of the table. The internet has become a big disrupter in our hobby (like it has everywhere else!) It’s hard to believe that Acquisitions Inc. started as long ago as 2008. In 2009 you had the Critical Hit podcast playing D&D. 2012 saw the advent of Nerd Poker. 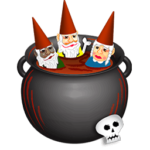 The two shows that really exploded into the mainstream with D&D pod/videocasting were The Adventure Zone in 2014 and Critical Role in 2015. 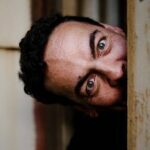 By now (Q1 2019) there are thousands of people playing D&D for your enjoyment on hundreds of podcasts. These shows, undeniably, have brought a very significant popular interest to the hobby. And with this interest came new people. Maybe they had never played D&D, but they knew a lot about it from watching/listening to other people play. I don’t know what to call these new people. I’m going with “live play enthusiasts” but that doesn’t cover it because some of these shows aren’t live, and are pre-recorded, edited, and then released. We’re a decade into this movement, and we still don’t have good language to describe it. Let me know if you’ve got a better collective noun. And these people are different than the folks I’ve been talking about thus far in some important ways. Where the old guard and much of the OP/AL community was taught D&D by playing with friends and family, or taught themselves by reading books, the live-play enthusiasts learned D&D by watching/listening to audio or video shows of people playing D&D. The live play adventures were custom-built for the characters. Everything was essentially a home game. There were no time limits. Whatever was going on in the narrative determined the pace. When the show ran out of time, they paused action til the next show. Every adventure is unique and no one will ever play that game again, like a home game. Just like above, you could rate these games, and the preferred playstyles of these players, on a scale of more tactical to more narrative, with some preferring one playstyle to the other, but with most people enjoying a mix – just like before. Live play enthusiasts enjoy a mix of narrative and tactical play. 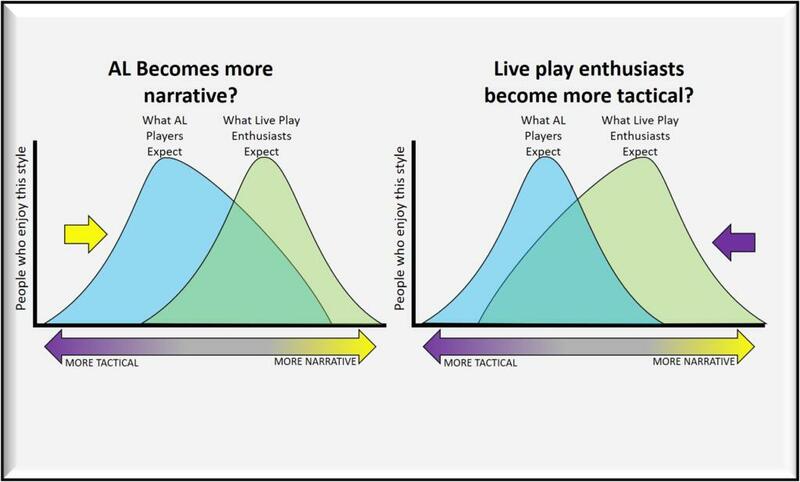 The live play enthusiasts had their whole set of expectations shifted to something that was more narrative because of the nature of live play for an audience. There was overlap between the groups, sure, but there was definitely a gap in their expectations about what D&D should be like. 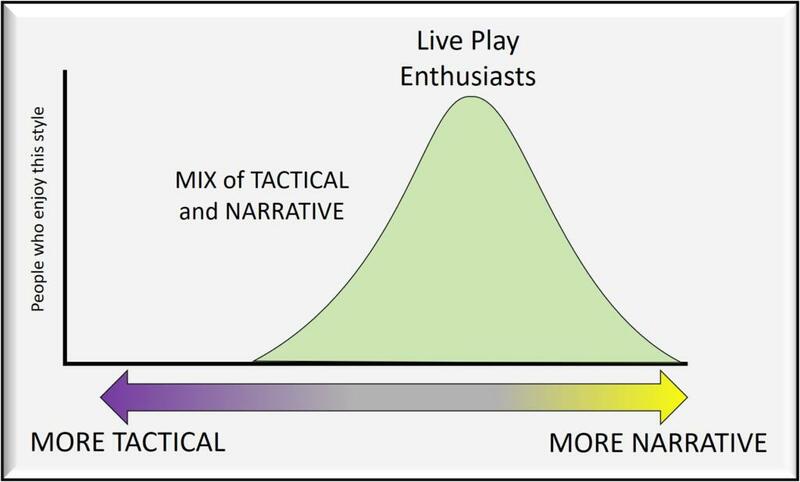 While both the old guard and the live play enthusiasts enjoy a spectrum of play styles, the old guard is more tactical and the live play enthusiasts are more narrative. The challenge is, how different are these expectations? There’s no easy way to understand that. The two groups could be pretty close, or pretty far apart. Are the two cultures pretty close, or pretty far apart? Here you have two cultures with different backgrounds, assumptions, expectations and needs. We need each other. BOTH groups want to have a fun time playing D&D with friends. The Adventurer’s League needs new players. D&D needs new players. Those new players are the lifeblood of a healthy hobby. The live play enthusiasts want to play D&D. We’re a perfect match! This leads to a period where the hobby undergoes some changes as the two cultures merge. Work is needed on both sides. If the Adventurer’s League (and by extension Wizards of the Coast) wants to welcome these players, then the Adventurer’s League will have to shift to meet their expectations and have more narrative options. 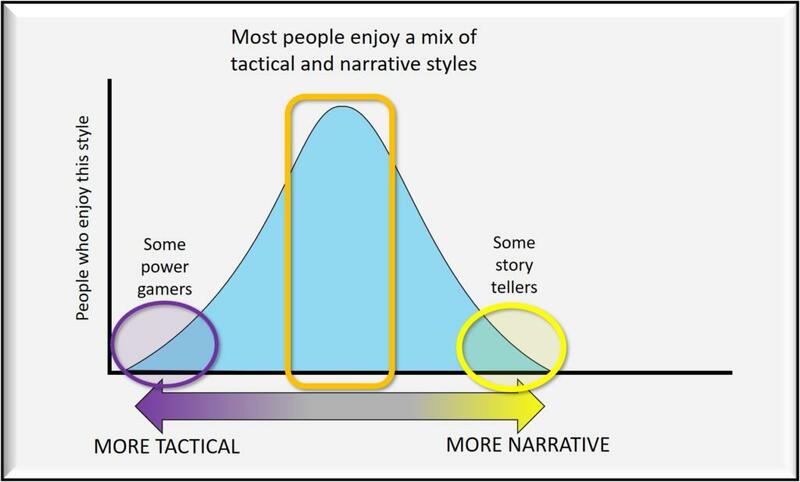 They need to move that bell curve to the right and explore more storytelling options to be good, welcoming hosts to the new players. Additionally, the live play enthusiasts are likely to figure out that not every DM is Matt Mercer, one of the McElroy family, or Chris Perkins. The live play enthusiasts will want to be good guests. They will shift their bell curve to the left and experiment with more tactical options than they’re used to in order to adapt to the community. The adventurer’s league becomes more narrative? The live play enthusiasts become more tactical? What I expect to happen is BOTH of these things. I genuinely believe both cultures will shift to meet in the middle somewhere. Both cultures are likely to adjust to meet in the middle. I think we are seeing the AL try to become more narrative. The changes to treasure points and advancement checkpoints aside, the adventures for Season 8 are far more narrative. Waterdeep: Dragon Heist – Dragon Heist set the tone for Season 8. While there are PLENTY of good fights in there, some of the most critical plot points hinge on interesting NPCs that you have to nudge into action. The villains would rather embarrass than kill the PCs. The ultimate goal of the adventure isn’t even for the PCs to kill the enemy. 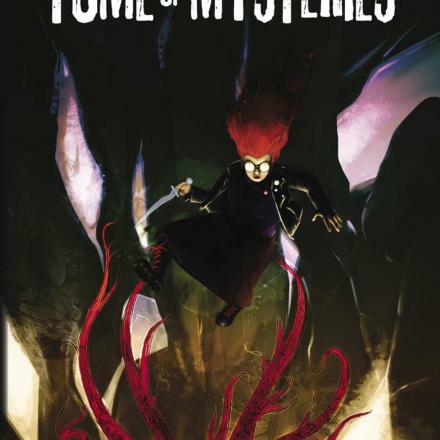 This is a huge shift from other hardback adventures from Wizards of the Coast that revolve around the PCs greasing the bad guy. Waterdeep: Dungeon of the Mad Mage – Yep, it’s a dungeon crawl, but even then the exploration of the areas is absolutely critical. Season 8 Adventures – The AL adventure format has been redesigned from the ground up. The adventures are far more narrative and require significant DM improv to really sing. Most encounters have options to use social RP or trickery/stealth to overcome encounters instead of killing all the bad guys. This is all a drastic departure from Season 7 and prior adventures where most XP was awarded for monsters killed. Epic 8-01 “Chaos in the City of Splendors” – While this follows strongly in the tone of the Season 7 Epics, it represents a strong shift to a more broad reliance on the “three pillars” (combat, RP, and exploration) and allows for narrative play if you want it, and more tactical play if you prefer that. What’s next? What SHOULD be next? Here are some things that I think might help optimize the cultural integration. The business literature is full of advice on how to integrate corporate culture after a merger, and some of those suggestions aren’t too far afield from what we’re seeing here. Do you have some suggestions for what might be, or should be next for the Adventurer’s League? Educate the AL community. Make people mindful of the cultural exchange and get their buy-in on integration. Paradigm shift is hard. Paradigm shift is even harder when you don’t know you’re supposed to be shifting paradigms! 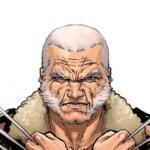 Sell the old guard on the goals behind the change and they will be the strongest proponents for it. Listen to the AL community. Efforts should be made to tell the AL community what the goal is, and then to get their suggestions on ways to get there. Lead from the top. Have the AL admins and respected voices in the community discuss need for additional narrative support. They have to convince people that change is needed. Learn and teach narrative play. Invite some of the better practitioners of narrative play to participate in showing the more tactical community that more narrative play is fun and valid way to enjoy playing D&D. This could be a new experience for some players, so make it easy for them to get experience with it and get comfortable with it. Respect your roots. 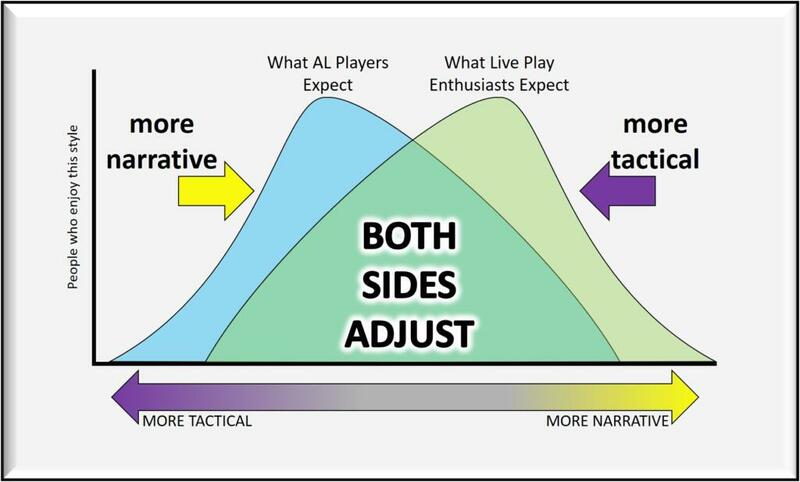 For all that narrative play is a new initiative in the AL community, that doesn’t somehow invalidate tactical play as a valid and enjoyable playstyle! Not everyone is going to like narrative play and not everyone has to. Tactical play options need to remain part of the DNA of Adventurer’s League. Educate the live play enthusiasts. Find a way to have some of the more popular streamers talk about AL and how and why it’s different. Let audiences know that the D&D people play at home/in game stores/at conventions is different than in streaming shows. Include AL admins so that the streaming audience knows WHY AL has to be somewhat different than live play/home games. WotC has plenty of live streams and other shows they support – those shows should be running AL content so that people can see what it looks like. I think the Adventurer’s League is going through some entirely normal and expected growing pains and cultural shifts, but I’m confident that it will come through them soon and smoothly, and continue to be a vital part of the D&D community. How does the community you come from shape YOUR expectations for the tactical/narrative balance in D&D? When and how did you learn to play D&D? What playstyle do you enjoy best? Do you play in the Adventurer’s League? How long have you been playing? Do you feel it is becoming more narrative? Do you like that? What’s a better way to make those changes? What changes are ahead for the hobby and for Adventurer’s League? This is a continuing discussion and I’d love to hear your viewpoints! PreviousBecky Annison Interview – Bite Me! 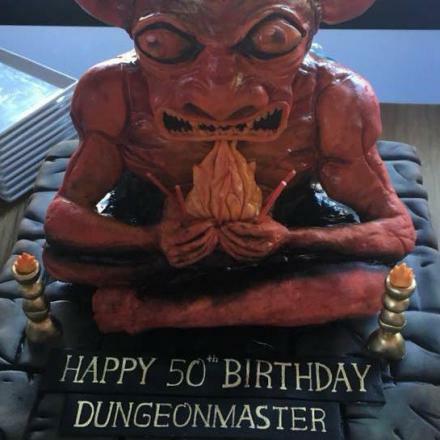 I have been playing and creating for D&D since 1982. 5th Edition D&D is my favorite edition and I am proud to write for the D&D Adventurer's League. Other RPGs I love include Deadlands, Shadowrun, Legend of the Five Rings, Dresden Files. Based in Atlanta, I run several D&D conventions there with my husband. Spare time hobbies include travel, cats, and shooting zombies in video games. In real life, I'm a marine biologist and I help clean up hazardous waste sites. I strongly agree that managing/communicating expectations is a HUGELY important concern, you hit the nail right on the head there. Case and point, I just played in the premier of Epic 08-03, Last Call at the Yawning Portal. Objectively speaking, it was a very intriguing and fun module…but it was a complete 180 from what I expect in the classically challenging and combat-heavy experience we have come to know as an “Epic”. This module was full of roleplay (arguably TOO full, my party suffered from some serious choice paralysis when given a list of 20+ things to do when we know we only had time for 3 at most). 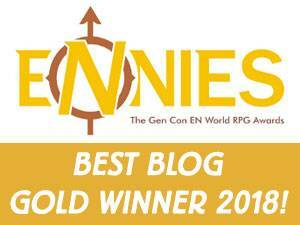 In my opinion, the rewards revamp has NOTHING to do with AL handling a culture shift; it is purely a hard clamp on power balance, and a not-so-subtle plug for Xanathar’s Guide. 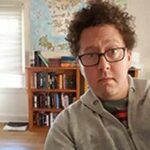 The concept of powergamers and “cheaters” is this massively hyped up boogeyman that AL (and by extension WotC) are needlessly TERRIFIED about. The change to the rewards system is their overzealous attempt to curb the microscopic percentage of players who “exploited” item trading. I DM extensively for AL events and I have honestly never seen a single player who was so power-game-y or exploiting rewards to an extent that they hindered the fun of other players or threatened the power balance of the module. 1) why not? Why couldn’t that work in OP? One player at table A has NPC Bob as a mentor, So does table B and Table C. Is the problem when the 3 players play part 3 randomly together, and which one is the one with the connection? It could be overcome, or couldn’t it be made to work with as much verisimilitude as the fact that you don’t get to play scenarios in OP with the same group, or out of order, or without playing part 1, etc. You could play a scenario, and be told that the NPC is your mentor, or your grandmother, etc. Or there could be particular hooks, based on background: If they have a sailor background, the captain knows you because you served with him. 2) The de-emphasis of factions took away one aspect of OP that WAS providing the personal connection: the NPC *is* your mentor, because he is part of the same Faction and you have a connection to him over time. Or if not a mentor, at least you have a narrative reason to be connected to him. some kind of Factional replacement could handle this as well if some effort was made. I think this is a rather negative development, and potentially a dangerous one. The problem is one that’s alluded to in your text but not explicitly called out: that the more “narrative” (by the definition above) play becomes, the more the experiences of watching it and taking part in it diverge. 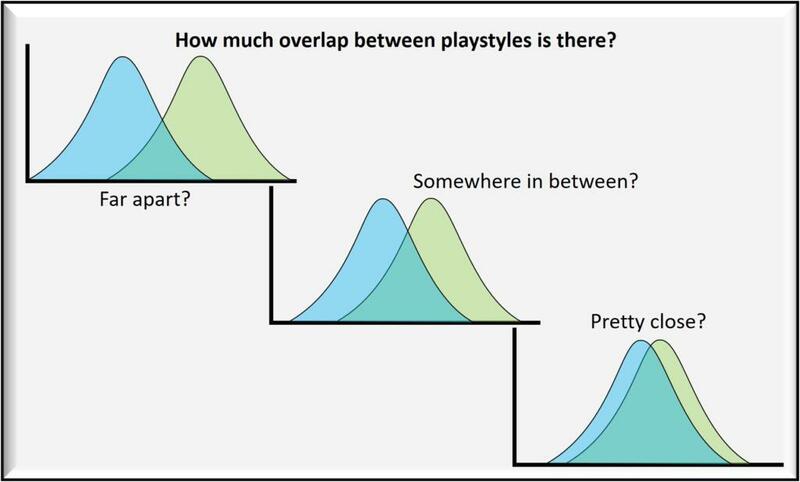 So in practice, the “what live play enthusiasts expect” bump isn’t really a bump at all – it’s the start of a curve, and then it disappears, because it becomes an expectation that doesn’t match with actual play. * In most cases what’s meant by “narrative” play is an alteration in the tradeoffs between the players’ active pursuit of character goals and the pursuit of the eventual emitted experience having narrative properties. As you correctly say, there’s no “correct” position for the tradeoff and people like it in different places. But that balance is massively changed if that emitted experience is being recorded. Doubly so if it is actually being listened to, and several million times so if it is being listened to by thousands of people who are paying you. Players who try to play more narratively run a major risk of running into the downside of those tradeoffs while realizing that if they’re not podcast stars, the upside is very different. Making active effort to make a better story feels very different when you know that no-one away from the table knows or cares about it. * Part of the appeal of standard, tactical adventures is the idea that they are a shared experience with other players. With group customized adventures, or standard ones with extensive improvisation, this isn’t so much the case – the experiences will either be different to begin with or drift apart. But if you’re _watching_ a group customized adventures, it becomes an experience shared with the other watchers. * Narrative play is more challenging. By contrast, tactical play is leveling. You can never run a campaign as well as – say – Matt Mercer, because he’s talented and that’s what talented means. And it’s not just a case of the AP podcast not representing what play will be like, it’s also a case of the fact that a leisure activity can become less appealing overall if it has the effect of reminding you of your limitations. * Another issue connected to the above is that most hobbyists play D&D to relax, whereas podcasters play it to perform and succeed. The difference in expected investment of energy and commitment is dramatic. Unfortunately there is still a bubbling belief around, which probably started in the 00-ishes with The Forge and such things, that narrative play is just superior because it is more challenging. But that isn’t valid or right. Writing a book may be a more meritorious activity than reading a book, but that doesn’t mean that good writers never read books because they could be writing instead and that’s so much better. D&D is also not ideal for some of the narrative systems you suggest. For example, the Sentinel feat is pretty much essential for guard/tanking characters to prevent them just being walked past, but it is almost useless in mapless combat, since its triggers are inevitably missed. Waterdeep Dragon Heist is actually a great example of what problems this causes. I can see what it’s _trying_ to do, I really like what it’s trying to do, but the implementation is terrible. The 4-thread system means that 75% of the book will be ignored by any single group running the game. Of that, 15% of what they do use is the write up of the enemy lair which the PCs aren’t actually supposed to visit. There’s a ton of implicit railroading in that while the PCs aren’t forced to do things, if they don’t do certain things they will go outside the assumptions the adventure makes (a ton of suggestions about how someone “might visit the PCs tavern” when the PCs might decide not to restore the tavern for example). There’s contradictions, like _all_ the major villains being shown as being in the inn, but unclear how to deal with the PCs raiding their lairs while they’re there. And even after that there’s a ton of potential failures of the emitted narrative written right into the adventure, like the PCs being mass murdered by Xanathar. 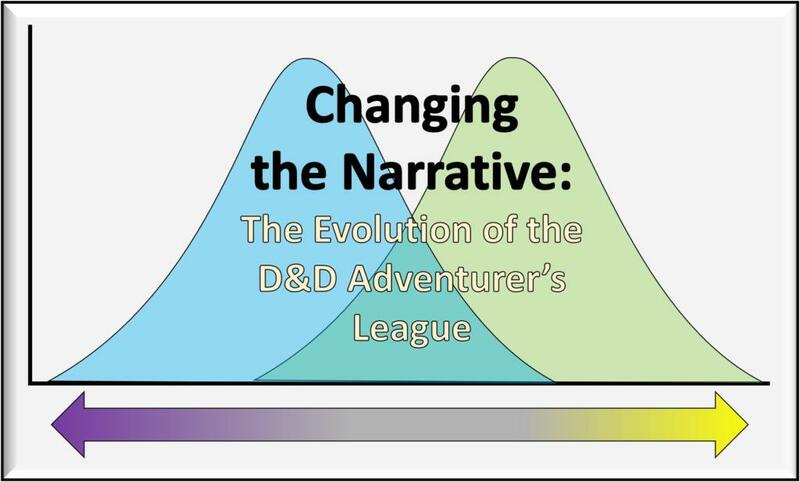 I’m not so sure that the real changes — or at least the real problems — in Adventurers League have to do with traditional versus narrative play. 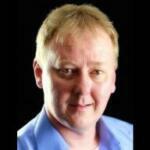 The larger controversies came about due to the changes around rewards and the like. I’m sure that the adventure template will continue to evolve, and that’s great! But the change to treasure and gold and experience really gnaws at the heart of what feels like D&D, irrespective of Dungeon crawl versus combat versus narrative play or anything else. 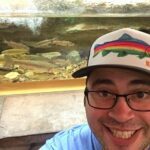 A game organizer in my home town shared this article with me, and I found it very well written and very helpful. So there may be interesting ways to look at this, and try to incorporate more elements of the best of both of these, as well. Visual Play Enthusiasts. Live, pre recorded, interactive. Does not matter. They visually want to see the game in all its variations in action. VPE enjoy the episodic nature of learning and development. The mind and imagination are a powerful thing. You can see that Gygax realized that among the text (also visual) artwork helped to grab the attention. These VPE crave not only enjoyment, they seek an instructional base by example. You are not on the wrong track. The data is not actually a 2 part scenario, but a 3 part. It’s not divided, but inclusive. It will always be that way. There are those that love the tactical, those that love the story, but there will always be that balance as well. When Gary designed the game he knew he could instruct his players, he could make resources available for them, but in reality that would be used in a multitude of ways. I have hosted events well before AL was AL, promoting a brand that was not my own because I enjoyed it. RPGA left the scene back in the day because it became too restrictive and exclusive. I see AL heading back down that road where they continue to squeeze the market. D&D allows choice. When you take that flavor out, you take a bit of light that makes AL shine at it’s brightest. Story and rules light is quick and fun at times but it can be a turn off as well. AL isn’t just a single entity. It needs to be more. A collective entity better suits it. I actually run a bit different setup myself. Outside of D&D AL. It provides a better solution. Not only do you run “opener” quick play seat of your pants games to grab new players maximizing on the tropes that make the brand great, but you offer up 2 other important aspects. The second aspect is more organized and restrictive play, where I see them now. The 3rd is the environment space that allows gamers to explore the brand openly and display that love making it their own. 4e setup was excellent for #1. 5e is excellent for rules organized play. 2e, 3.5 are great for the 3rd option where the vast resources allow the broadest source for customization. Gary never built walls in his editions or divided his own brand. They need to get out of that mindset. I know they read. I have said this many a times. They need to not put up walls for their player roster as well. You can make it available to everyone. Cater to all those aspects, it can be done consistently and quite frankly easily. I know I’ve been doing it 20+ years. I watched AL go through its motions. A bell curve. It can spiral upwards once again. People with a solid belief like Shawn Merwin on some of these aspects can get it in that direction. You need a solid plan though to keep it there. Peaked for the duration of the brand. 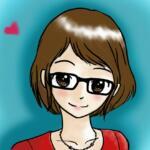 You can check out my twitter feed if you feel interested. Happy gaming.